As a boy in Pretoria, Musk was un dersized and picked upon, a smart-aleck known as Muskrat. In his loneliness, he read a lot of fantasy and science fiction. “The heroes of the books I read, ‘The Lord of the Rings’ and the ‘Foundation’ series, always felt a duty to save the world,” he told me. My most favourite book is Godfather by Mario Puzo. [...] Another would be The Lord of the Rings and The Hobbit. I just love the story and lore that Tolkien creates in his books. The expansive universe, storytelling, characters, world-building - it is something that always spurs my imagination. The book never fails to take me to Middle Earth when I read it. It is also the first book I have read entirely in English, and I remember how proud I was of the achievement at the time (English not being my mother tongue). It’s impressive how Tolkien combined Edda with King Arthur legends and created a new fantasy classic. I love taking a peak behind the writer's curtain - it has helped me a lot with my understanding of content strategy. 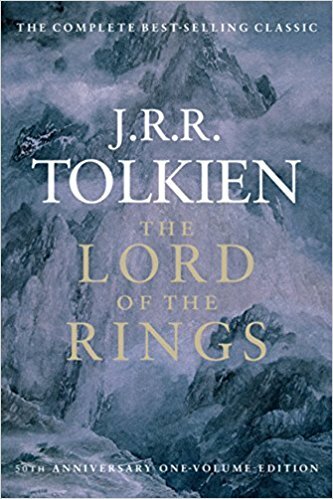 My favorite books are Tolkien’s the Lord of the Rings, the Hobbit, and the Silmarillion. In fact these book hold a special place in my memory. In highschool I was so into Tolkien that I delved into linguistics on my own time. I was obsessed with Quenya (Tolkien’s elvish language). I combined that obsession with my mediocre skills as a programmer, and made a sort of dictionary/translator program. This was actually my first venturing into entrepreneurship, because in my naivety I thought I might be able to sell my software to fellow enthusiasts (the first movie was just coming out at the time). During the early days of my life, my mother read to me the classics, like “The Hobbit”, “The Lord of the Rings”, Enid Blyton, “The Land of the Faraway Tree”, “The Narnia Chronicles”, “The Neverending Story” . All these books were really important to me as a kid and they became just as important to me as an adult because I read through most of them again, for example (obviously) The Lord of the Rings and The Hobbit and also The Narnia Chronicles. Went through all of those again and got something powerful out of them because you don’t realise as a child what kind of maybe more spiritual or religious or conceptual or psychological or philosophical messages are hidden within the stories, that you just can’t see them as a child, so it was really great to see them as an adult and take away that extra layer from those kind of books. Plugged In - Can Elon Musk lead the way to an electric-car future?